This gorgeous arrangement with pinks and whites was perfect for the rose gold accents! 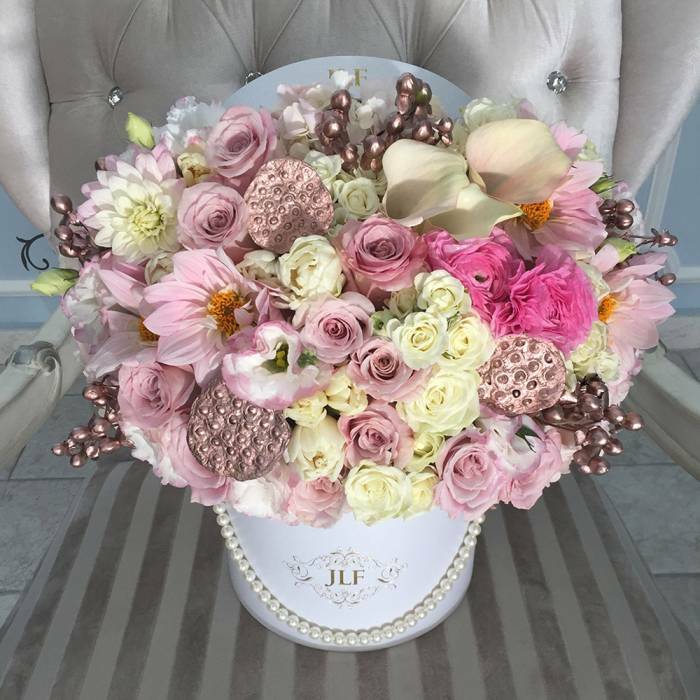 The arrangement was made using pink roses, white spray roses, white hydrangeas, white tulips, pink dahlias, calla lilies and kisses of rose gold lotus pods and coffee bean flowers. The arrangement in the photo is in our Medium size box.